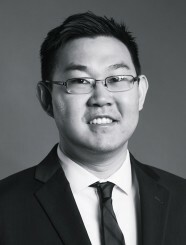 Mr. Zhao serves as a Vice President at Generational Equity. He has experience in sales, valuation, risk management, due diligence and financial management. He specializes in advising high networth clients to achieve their personal and financial goals through quality investments. He also specializes in diversifying assets for his clients and helping them reduce their market risk in during turbulent markets. He has experience interacting with clients from a wide range of backgrounds and has been involved in numerous investment transactions. Previously, Mr. Zhao served as a financial advisor for Merrill Lynch and Bank of America with an emphasis on retirement planning. He also served as President for a group of outside financial consultants for the Arizona State Retirement System. In addition, he has served as a Credit Risk Analyst for a commercial bank specializing in small to middle sized businesses and as a Risk Analyst examining bank vendor liability. Mr. Zhao earned his Masters with an international focus from the Thunderbird School of Global Management at Arizona State University. He holds Series 7 & 66 licenses and is a licensed financial advisor by FINRA.